Most plumbers will only use PVC pipes in newer homes due to their extreme durability, but it isn’t uncommon for homes to have metal pipes. These pipes undergo a constant chemical reaction with the water in which they are constantly losing electrons. 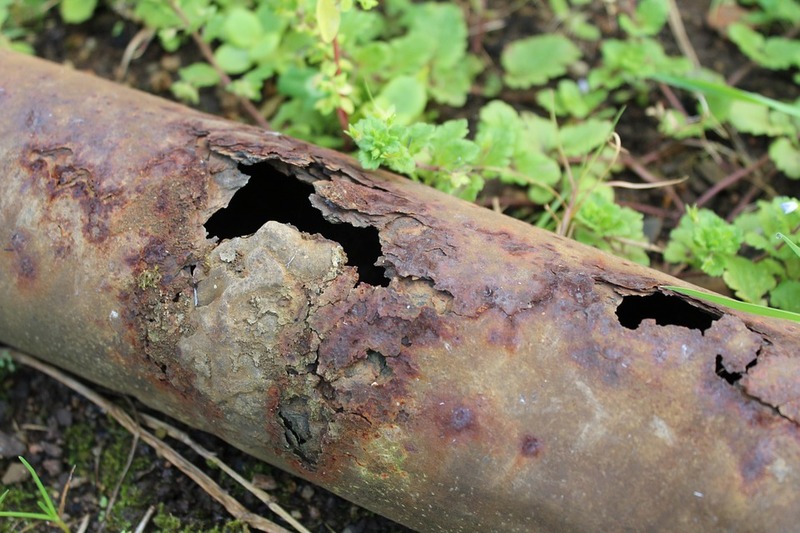 Although this process can take years to manifest any meaningful damage, various factors such as pH and alkalinity can affect the rate of corrosion. In general, soft water is more corrosive than hard water. Several commercial drain cleaners are extremely caustic, and they can certainly accelerate damage to metal pipes. Although plastic plumbing pipes are very resistant to strong chemicals, they can still suffer damage, particularly at the joints where two pipes meet or near small leaks. Periodically using drain cleaners will generally not cause significant damage to the pipes, but frequent use can. Shifts in the ground, settling of the home, large root systems, and various other items can take several years to damage the pipes. Any cracks or small leaks can exacerbate issues with chemical cleaners. While it can be difficult to anticipate these risk factors, you can be on the lookout for signs of plumbing leaks and repair them as soon as possible. Leaky pipes can cost you hundreds of dollars in utility expenses, and eventually they’ll fail completely. Delta Plumbing is a licensed, bonded, and insured plumber with over 30 years of experience in the Atlanta area. We provide both commercial and residential plumbing services. Call (678) 228-8810 or contact us online to schedule a free estimate.